Wayne Rooney scored on his Premier League return to Everton as they beat Stoke 1-0 in their opening fixture of the season. It was a fairy-tale return to his boyhood club as Rooney headed home the winning goal in the added minute of injury time in the first half, and sealed the three points for the hosts. The Toffees had drawn their last four opening day matches but managed to hold out for the victory against a Stoke side who had very few clear-cut chances, with Xherdan Shaqiri almost snatching a draw late on, only to be denied by a superb Jordan Pickford save. The first half saw scoring efforts at a premium, although Mame Biram Diouf forced Pickford into a good stop after 10 minutes as the goalkeeper pushed the Stoke forward's shot over the crossbar at his near post. Wayne Rooney made his second Premier League debut for Everton alongside Sandro Ramirez. Fellow new signing Jordan Pickford, Michael Keane and Davy Klaassen also started. Darren Fletcher and Kurt Zouma started for Stoke while Eric Choupo-Moting and Josh Tymon were on the bench. Joe Allen also started after reported transfer interest from Swansea. Idrissa Gueye went closest for Everton in the opening period. He thrashed an effort towards Jack Butland's goal just after the 20 minute mark from the top of the box, only to see it well collected by the Potters stopper, before he tried again from the same distance three minutes later after an Everton corner was half-cleared but it flew wide. As the fourth official signalled for a minute of added time, Rooney made it a return to remember as he netted the opening goal. He set off the move himself with the ball going through Gueye, Sandro Ramirez and Dominic Calvert-Lewin down the right flank before the latter whipped a cross into the box which Rooney rose to meet, powering the ball past Butland. Stoke started the second half well and could have had an equalising goal five minutes after the break, but Erik Pieters' fine cross flashed past four Stoke players in the box before Kurt Zouma produced a fantastic tackle to deny Clavert-Lewin a one-on-one with the goalkeeper at the other end. 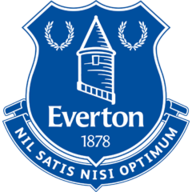 Everton: Pickford (7), Jagielka (6), Keane (7), Williams (6), Calvert-Lewin (7), Schneiderlin (7), Klaassen (6), Gueye (7), Baines (7), Rooney (8), Sandro (7). 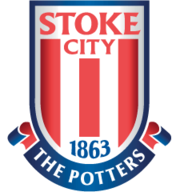 Stoke: Butland (7), Cameron (7), Shawcross (6), Zouma (7), Pieters (7), Allen (7), Fletcher (6), Diouf (6), Shaqiri (7), Bojan (7), Berahino (6). Darren Fletcher also went close for the visitors just before the hour mark as Joe Allen slotted the ball into feet, allowing the Scotland international to let fly from around 20 yards but it just flashed wide of Pickford's post. The fantastic battled between Zouma and Calvert-Lewin continued throughout the second half and the Everton youngster left the defender on the floor in the 69th minute, bursting into the area but his shot at goal was kept at bay by the hands of Butland. His opposite number Pickford was the hero for Everton in the 93rd minute as Xherdan Shaqiri drove towards the box and let fly with a thunderous effort, the England goalkeeper making a superb leaping save to ensure the three points stayed at Goodison Park. It was not just the goal that sees Rooney take the plaudits from the match, he looked to be back to the player of years gone by. He was everywhere on the field, playing some brilliant passes for his team-mates and also put a shift in at the back. Of course, his goal will stand out but his overall contribution cannot be overlooked. Ronald Koeman: "I'm happy with the points. Maybe every manager before the start of the season thinks that their team is ready and prepared but it was really a difficult game. "It wasn't a good performance but it is the first that bought a few of nerves to the team and to the new signings. Stoke made it really difficult and if you now that, and you keep the clean sheet and the points at home, it is a perfect result." Mark Hughes: "We are disappointed about the result clearly because we wanted to get off to a winning start if we could but the key from our point of view, it was the level of performance we are looking to produce so I was reasonably pleased with that. "Everton didn't really have too many clear-cut chances so we restricted a very good side who spent a lot of money and have got a lot of quality. I think that all bodes well for the games we have ahead of us." Charlie Nicholas: "In the second half, Rooney was by far and away the man of the match for me, his passing was excellent. They changed it after the break and went to a back four with two up front. "Calvert-Lewin looked stronger alongside Sandro and Rooney dropped back into that deeper role of the triangle which, for me, is where he's going to play. Where are they going to fit Gylfi Sigurdsson or Ross Barkley if he stays? There are too many midfielders and now enough forwards." Rooney also set a new Premier League record for the longest gap between goals for the same club (4869 days days between Everton goals). No player has scored more Premier League goals on the opening day than Wayne Rooney (8 - level with Alan Shearer & Frank Lampard). Mark Hughes hasn't won any of his last seven opening day Premier League games (D2 L5) in charge of three different clubs in that time (Fulham, QPR and Stoke). Stoke have won just one of their 10 Premier League matches on opening day (W1 D3 L6). Everton are next in action against Hajduk Split on Thursday in a Europa League qualifier at Goodison Park before they make the trip to Man City on Monday Night Football for their second Premier League match on August 21. Stoke have a week to prepare for their next match as they welcome Arsenal to the bet365 Stadium on Saturday evening.